Follow the project progress via twitter @ABCtoVLE @ABC_LD. Norwegian translation of ABC LD resources kindly provided byVegard Skipnes / LearningLab / BI Norwegian Business School (https://www.bi.edu/). If you have any questions about the Norwegian translation, email Nataša for contact details. Estonian translation of ABC LD resources kindly provided by Linda Helene Sillat and her colleagues from from Tallinna Ülikool, Estonia (https://www.tlu.ee/). We had our first ABC conference! Our ABC Learning Design Mini Conference was held at UCL Knowledge Lab on the 9th March 2018. The event was sponsored by the HEFCE Catalyst programme. The Afternoon session was tailored for people who were more familiar with ABC and interested in institutional implementation of the method. We also formally launched the ABC UK community. Big thank you to all the speakers! Thank you to Dewi Parry for his reflection on the conference! Thank you to all participants for the great day and lovely tweets! The second half of the year was equally busy for ABC_LD. ABC got a place on the Learning Design family tree! Clive and Natasa took ABC to OEB conference. Flemish translation of ABC LD resources kindly provided by our colleagues Sylke Vandercruysse, Delphine Wante and Sofie Bamelis from VIVES Hogeschool, Belgium (https://www.vives.be/nl). In Teaching as design – Part 1 we describe Peter Goodyear, professor of education at the University of Sydney, as one of the inspirations for UCL’s ABC approach to learning design. In this post we explore how his concept of “teaching as design” aligns with many of our ABC activities. In the 2013 paper “In medias res: reframing design for learning”, Goodyear and Dimitriades recognise that design s “becoming a more recognisable and significant part of the work of teachers generally” (2013:1) and felt it timely to “clarify” some ideas about design for learning as follows. Learning cannot be designed it can only be designed for – we cannot design someone else’s learning experience – hence “design for learning” rather than “learning design”. The latter term is more associated with classic notions of instructional design that require clear, discrete outcomes and compliant learners. The authors’ view of design is that it can only have an indirect effect on student learning activity. Design should be a core part of on-going educational practice, not project based i.e sustainable. Design often starts “In media res” i.e. in the middle of its lifecycle. It is rarely a blank sheet but comes from review and redesign or post validation, where many parameters have been set. Fixed project-based sequences of instructional design such as ADDIE run contrary to the cycles of normal educational development. The role of the teacher needs to be clear, especially at ‘learntime’ – i.e. when the course actually runs. If the teacher is present she can clarify and fill in the gaps on the fly; if not, as with much blended learning, careful design is much more important to identify and pre-empt problems. “Design should look forward” – this means that adaptations and reconfigurations should be expected and accommodated, teacher support at learntime should be designed in (dashboards, activity data etc), evaluation data should be picked up and reflected on and finally this should encourage and feed into redesign. ABC recognises all these points. In the workshop there is usually much discussion of what kind of activities can be used to reach specific learning outcomes. The “serving suggestion” of digital and conventional methods on the back of the cards indicates multiple approaches may be possible. The workshops occur by invitation and are planned for when the teams find them useful. This can occur at any time in the design and re-design cycle, but we have found “in media res” is often optimal as some preliminary thinking has already been done. ABC may be less effective with “blank sheet” course, which usually require some preliminary business case and value elicitation work to provide a focus (a “design brief”). The designers are usually also the teachers, but by storyboarding the student experience their role should become clear and is always open to cross-examination by colleagues in the design team. We always suggest ABC designs could be used to record planned activity, identify and track changes, and benchmark intentions against outcomes. The idea of explicitly recording activity indicators is interesting and could be developed further. The authors then proposed a ‘reframing’ of learning design theory around a number of points, including the following. The focus should be on what the student does i.e. activity-centred design. The problem is one activity may span several learning outcomes, so there is no ‘optimal’ solution. It is necessary to have a clear view of “that which has been designed”. Implicit activities should be avoided (e.g on-the-fly teaching) and design activity should result in the in the creation of “things” which can influence behaviour, activity, experience and learning. The task impacts learning more than the mode, “it is the characteristics of the task, rather than the medium in which it is inscribed, that most influence the learning activity and its outcomes”. Learning design is not only the design of tasks but the design of supporting tools and resources, the “learning environment”, and the social setting (e.g. organisation of students for group work). Locus of control is always an underlying tension. Are designs explicit instructions or “just” recommendations (with implications for student autonomy) of tasks, tools and social organization? How much interpretation is allowed? Activity-centred design is the core ethos of ABC, and the storyboard provides the “clear view”, an artifact that can be produced and discussed. The learning environment is addressed after the ABC workshop through suggestions of tools that can be used, and even a baseline of minimal provision, the UCL E-Learning Baseline. The authors conclude; “support should be provided so that redesign may be performed as easily and fluently as possible and “good design acknowledges the fact that redesign is the norm, not the exception”. One of the challenges for ABC is providing the initial support for academic teams then maintaining a dialogue with them to encourage and support subsequent redesign. The locus of control issue is more challenging, but we have found in ABC the more experienced designer-teachers to be fairly pragmatic in how much flexibility the students can cope with. In the 2015 paper “Teaching as design” referred to in the previous article Peter Goodyear elaborates these principles but makes it clearer what design is, and that “planning and design are not the same thing”. “Design typically results in the creation of specifications of some kind, rather than directly in a finished product. It produces blueprints, plans, sketches: inscriptions of various types, that guide the creation of an imagined end product”. This is very much what we intend with the ABC storyboards, they do not attempt to create the actual learning objects, that is intended to occur post-workshop. He reiterates, “design usually entails resolving tensions between competing objectives”. Reframing the problem and running small-scale ‘design experiments’ are typical designerly responses. “… teaching traditionally—in the literal sense of teaching as one was taught oneself—is unable to cope with the changes now besetting higher education. Shifting resources towards design for learning, and adopting more effective design practices, is a credible strategy for improving the quality of higher education while managing with tighter funding”. He thus presents both an economic and an educational case for supporting the design process institutionally and building capacity among lecturers and professional support staff. 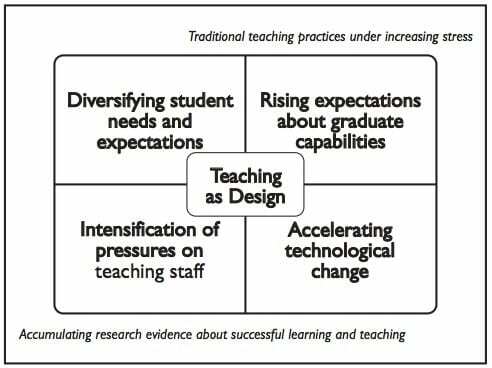 Four drivers of change are identified, familiar to anyone working in the higher education sector that make, “teaching approaches that may have been the norm 20 or even 10 years ago no longer look affordable or appealing”. “evidence-informed, creative, design-based strategies will be needed if universities are to generate innovative repertoires of educational approaches to deal with, and ideally to anticipate, changes in their operating environments”. This is what ABC aims to achieve at UCL and beyond. (The rest of the paper expands on the science of design and may be addressed at another time). Goodyear, P., Dimitriadis, Y. (2013). In medias res: reframing design for learning. Research in Learning Technology, 21(SUPPL.1), 1-13. ABC LD team had a very busy year so far. followed by learnhack 3.0 , where students designed for learning of their radio audience in Nepal. 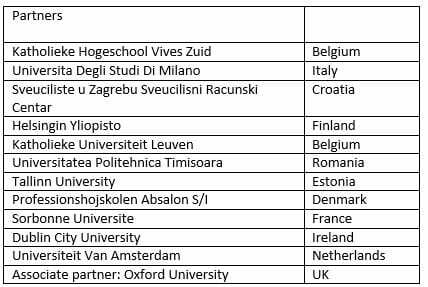 At the end of January we visited University of Milan and facilitated 2 workshops; one with resources in English and the second one with resources in Italian. I’ve enjoyed every minute of your ABC presentation @NatasaPerovic @CliveYoungUCL . Next time, I dare you to a race with the fancy chairs.